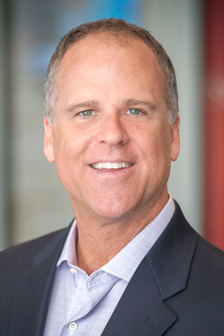 With 20+ years in Sarasota real estate, Michael James attributes his success to an honest, authentic approach and genuine passion for seeing possibilities become realities. A specialist in the lifestyle options throughout Sarasota and Manatee counties, he maintains a special focus on Siesta Key, downtown, and the beach communities. Born in Memphis, TN, Michael moved to Toronto, Canada, at an early age... more., where he ultimately graduated from the University of Western Ontario. He began his professional career selling computer software to Fortune 100 companies across the U.S., before switching gears to travel north and become a wilderness guide on the coast of British Columbia. This diverse background led him to consider a career in real estate, an industry where he could combine his sales expertise with his bold leadership skills. In 1997 he moved to Sarasota, and shortly after embarked upon a real estate career that would see him become one of the top professionals in the area. Michael takes great pride in being the navigator of his customers’ buying and selling experience, and often establishes relationships that go beyond the closing table. Michael and his wife, Laurel, are immensely proud to be raising their blended family of three boys here in Sarasota. In his spare time, Michael enjoys attending hockey games with his family, exploring lesser known beaches and listening to his extensive vinyl record collection.